Former Beatle George Harrison tried to give Homer some advice for his band The B-Sharps. Shoulda kept his mouth shut. Now he’s lying in Strawberry Fields forever. 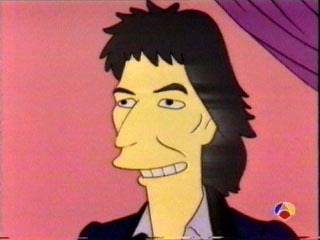 Seeing as how Paul AND Ringo have been on The Simpsons, can a Beatles reunion be too far behind?